But training organizations, developers and instructors have other, far spookier things to think about – like how to make virtual training not a complete waste of everyone’s time. So, to that end, here are 7 spooky virtual training disasters to avoid. Knowledge is power! “Be there or be square” might work for your Halloween party, but less so in an online training course; physically absent attendees should be just as active as face-to-face attendees. Ignoring them or failure to communicate with them is an online training disaster that could lead to them disengaging completely. To avoid it, always address them, and incorporate interactive exercises that allow everyone to participate. Let’s make one thing clear – cloud based training environments are meant to support and improve training, not replace it with a “get together” and a semi-automated slideshow with fun videos and other gimmicks. One of the most important components in training is instruction. Without over-the-shoulder instruction, cloud-based training lacks its very core- the priceless interaction and feedback between the instructor and the student. Take that away and your training will turn into just another e-learning self-paced individual practice, funny and colorful as it may be, and miss the effective characteristics of cloud-based training. Theoretical learning is the basis of every training, but nothing compares to a hands-on experience. If you want your students to acquire the right skills, they need to gain real-world experience. Too many online training programs fail to provide the most natural feature the virtual training modality allows: first-hand experience in real-life environments. Without it, students won’t be motivated to learn, nor will they gain real value and skills from the training itself. In short, they’ll perceive it as a disastrous waste of their time. #4 Cognitive overload, or, where the **** is the ball..? Expecting your students to keep their eyes on the ball is a reasonable request, so long as you do your part. Our millennial brains are capable of listening and looking at texts for surprisingly few minutes before it all gets tangled and becomes a big blob… That’s why it’s good news that you have so many options in your trick-or-treat bag! Graphics and videos and YouTube anecdotes and musical elements and so many more engaging features help you create a fascinating combination of interactive content that stimulates our senses, and keeps our eyes on the ball. Making an effective cloud based training is giving an interesting presentation that engages students’ minds. If your program lacks all that, you’ll have bored, unenthusiastic, disengaged students that are surely thinking about god-knows-what during the training. This may very well be one of the biggest disasters in virtual training. Traditional training and virtual training differ in almost every respect. The specific characteristics of the virtual context require a whole different type of content and instruction, to fit the new technology and the new target audience. Delivering traditional training using the virtual modality can result in completely disengaged students… and that’s a virtual training disaster waiting to happen. It seems almost clichéd, but lots of cloud-based training courses turn into utter disasters when the necessary technical requirements are not properly addressed ahead of time. There’s nothing more frustrating than having to deal with broken communication or other technical problems without prompt support. This can be easily avoided by providing clear setup instructions to students in advance of the training, and by equipping the instructor with basic technical knowledge for quick and painless troubleshooting. It’s funny – or spooky – how easily a training session can go to waste over a ridiculous technical problem. Cloud based training programs often fail because there isn’t enough interaction between all participants. The social component of cloud-based training is vital- without it, students quickly lose interest, and engagement rates drop to the floor. Steer clear of this disaster by utilizing social tools such as chats, forums, blogs, wikis, social media, or video conference- anything to keep students from falling into a silent presence. This is also crucial for the evaluation and assessment process; you’ll never know how to improve your cloud-based training program if you don’t ask for feedback. Every student needs to be heard or seen in order to maximize engagement and make the training as effective as possible. 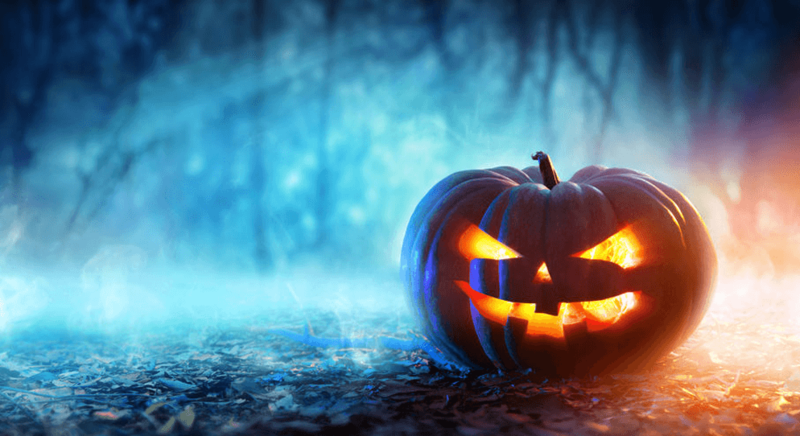 So Halloween seems to be a pretty helpful reminder of how to avoid what we’re so afraid of: in this case, developing a disastrous virtual training program that helps no one, and is a colossal waste of everyone’s time. Better performance starts with excellent training. Talk to us to discover how a premium virtual training software can make the difference.